Milan has been my ‘second home’ for over 4 years. During this time, I have been lucky enough to hang around with some very authentic Milanese paesani (you know who you are)- which has given my life in the city both a positive and a negative edge. Positive, because I now know some pretty cool places to go/ some pretty cool people to know/ I am now a great scooter partner – and I also know all the italian swear words AND when to use them! Negative, because I have no idea where these places are or what they are called. I have become a vessel that is transported around Milan’s hotspots like a sort of foreign toddler being led astray. I am totally incapable of locating anything other than the house where I am staying and the Duomo. So while R. has been working in Milan for the past 2 weeks, I decided to invest in a map of the city (not just any map… a 3D map, that’s right), and armed with a posse of italians, stake out some of my favourite places/things to do in Milan, so I can finally know what I am talking about and fulfill my role as a ‘real expat’. 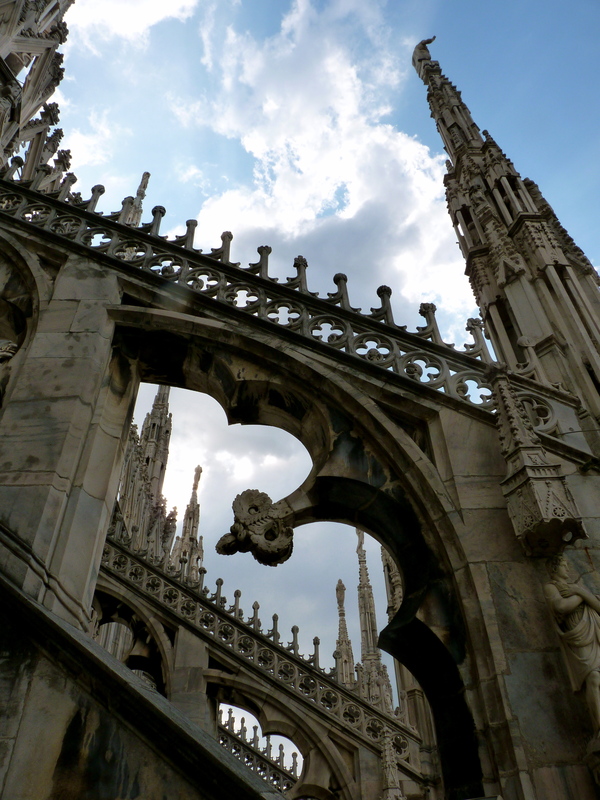 The Duomo has been a huge dilema in the milanese part of my life. Ladies take note: you will not be allowed to enter if you do not have trousers on or if any part of your shoulders are showing. I have been turned away countless times by the Italian Rambos on the door due to my inappropriate dress sense (though I was not dressed like the lady above). My advice would be to take a wrap or cardigan in your bag. 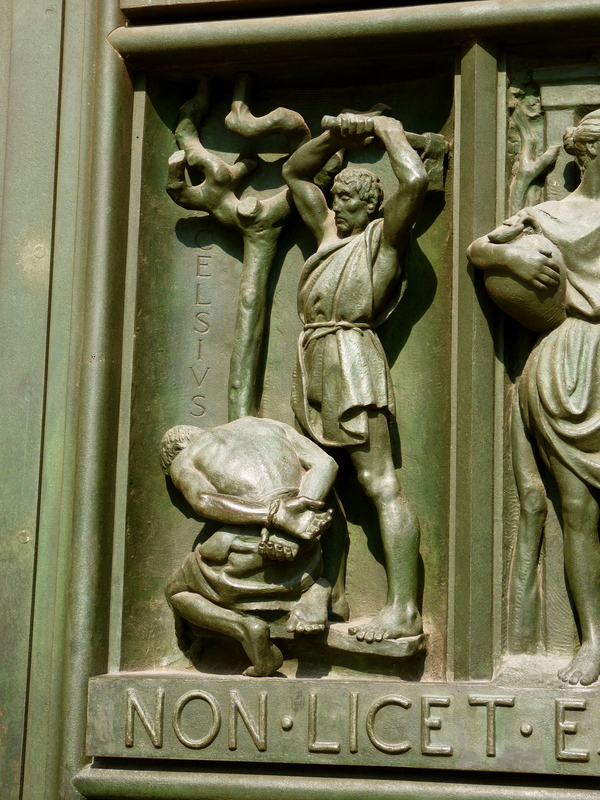 After your trip inside the Cathedral, see if you can find the mistake on one of the Duomo’s main doors. Though I don’t often see it recommended on travel sites, climbing up onto the roof of the iconic italian Cathedral is a must-do. 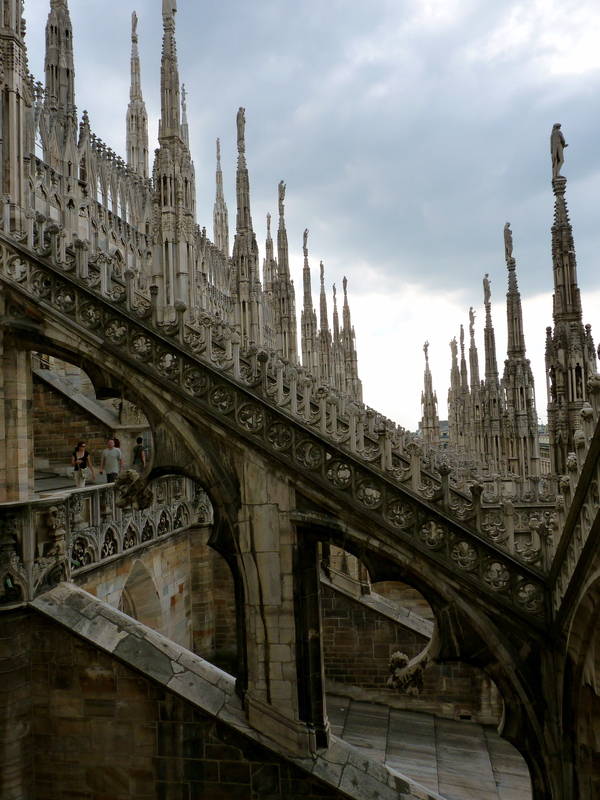 The entrance is located to the left of the Duomo entrance and there is no dress code. 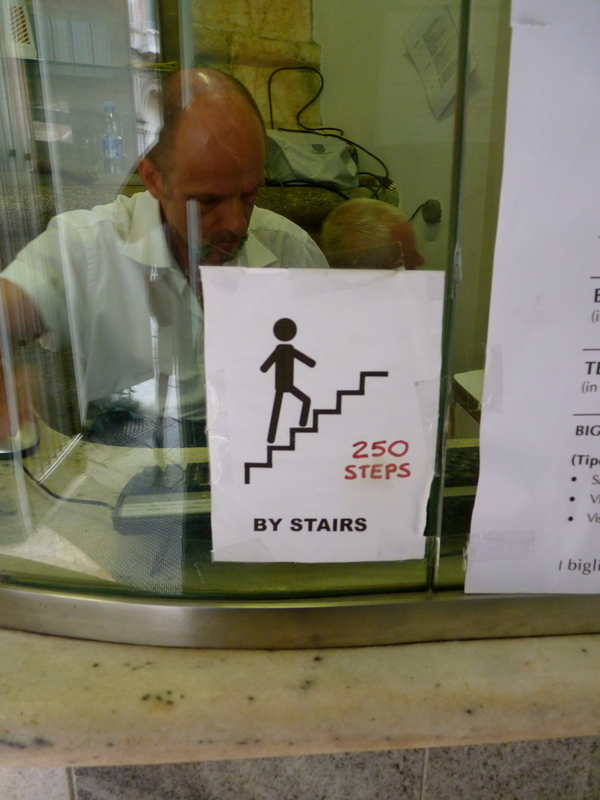 It costs 7 euros to climb the stairs, but if that sounds a bit daunting, you can always pay the 12 euro option to take the lift. Once you reach the top, it is spectacular (especially in the summer), and you can see the gothic features in all their glory. Here’s why. 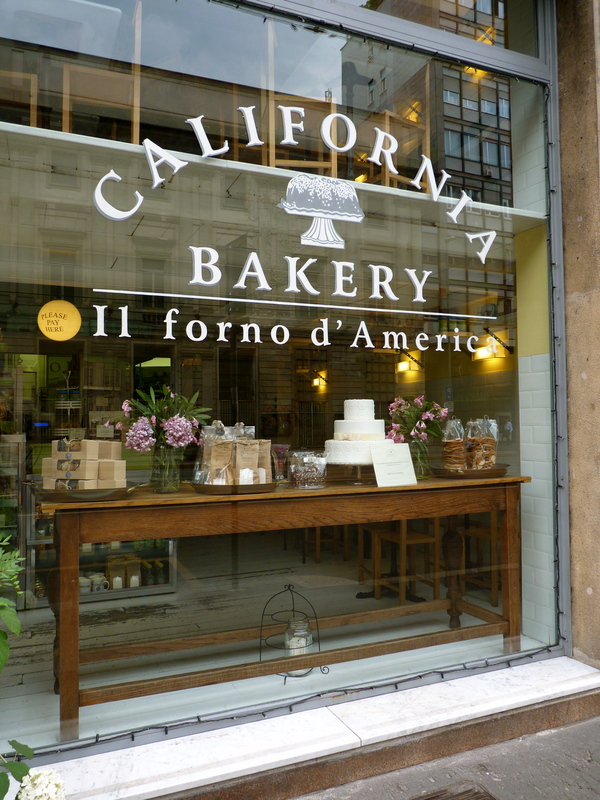 Every lunch time The California Bakery (via Largo near the Duomo) is packed out with Italian suits, donne-that-lunch and local students grabbing a New York style bagel or Club Sandwich. While, I prefer to lunch the italian way, I really recommend the establishment’s cakes, milkshakes and coffee as an afternoon treat. 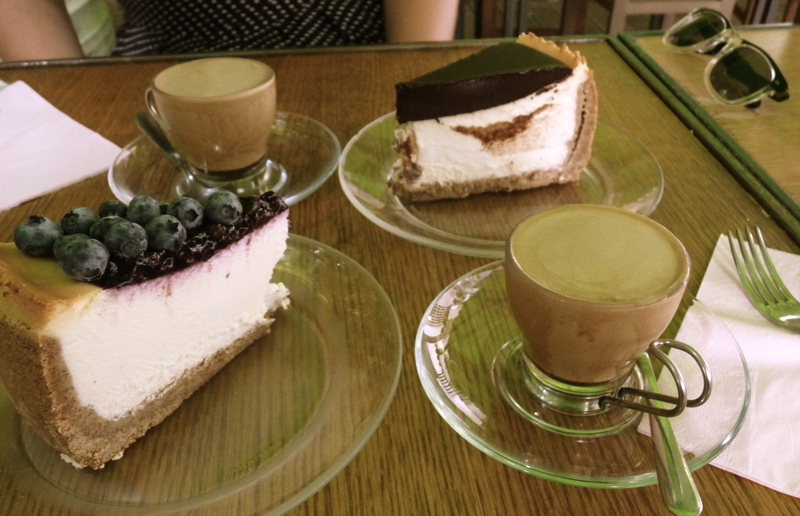 Their vast selection of cakes and pies are freshly baked in-house everyday. They have a cute seating area in the back garden- and they serve brunch on a Sunday. Perfect. PS. The iced coffee is amazing. 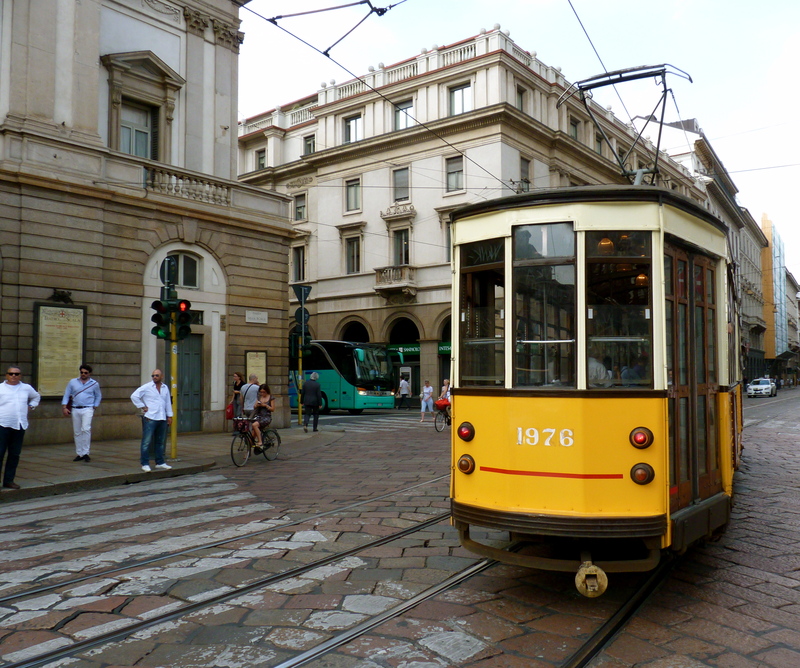 Milan’s tram operations started in 1876 and the city has the second biggest tram network after Turin. Many of the old trams are still in operation around the centre and they are very easy to use to get around. 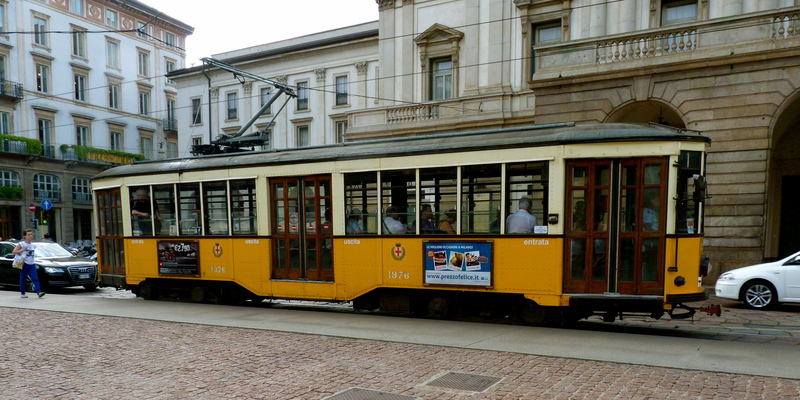 Plus, rather than the metro, they provide you with an opportunity to view Milan as you travel. Having grown up in the middle of nowhere in Africa, taking the train or tube was not an everyday occurance for me- never-mind travelling on a tram. So, I am particularly fond of taking the old style trams (or standing and staring as they drive past). Bar Anny in Milano is one of those bars that is retro without even trying to be retro. Forget your *bling-bling* Armani and Prada bars, Anny’s is Milan’s aged rockstar- it’s had years of experience at being cool and now it just comes naturally (in a vintage kind of way). The story goes that it came to life in the 70’s, was then closed down for a period (its rehab years), before being opened up again, looking exactly as it did in the old days- just a little bit more scruffy and with a bit of an edge. 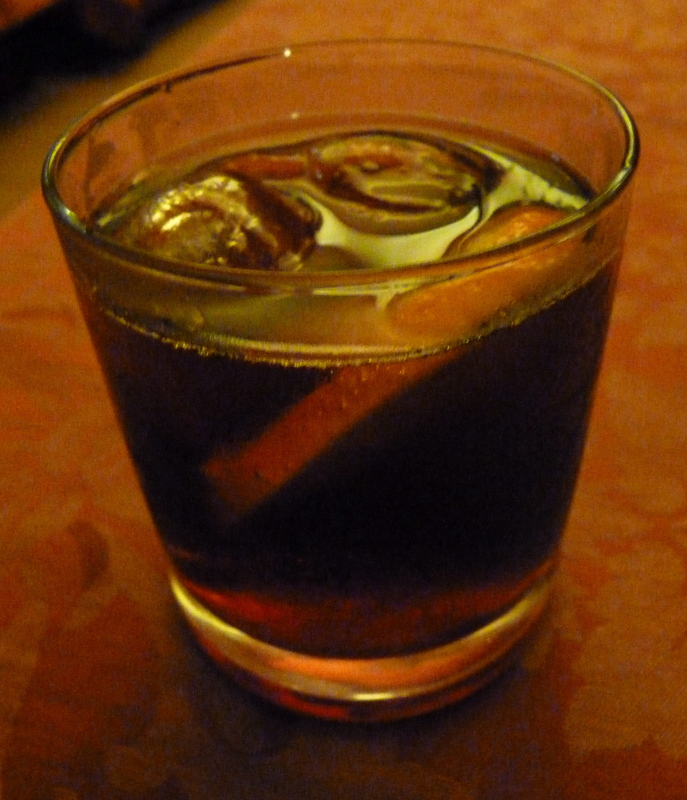 It is the best place to have an aperitivo (it has to be a Negroni- Milan’s choice of drink) and a panino in the evening. Enzo will look after you prefectly – though, a little heavy handed as is the traditional way. Your panino will be chosen for you if you show the smallest sign of having difficulty making a decision. 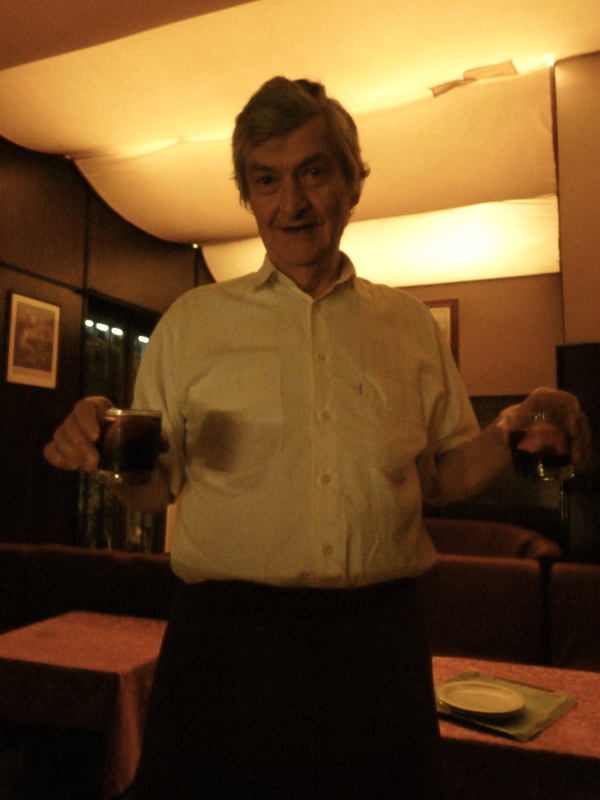 He’ll also keep your Negroni coming and all at a very decent price…what more could you ask for!